Find out what benefits you get from defining your business purpose, how to discover what your purpose is, and how to embed it in your organisation. Supporting others to create a positive and lasting impact. 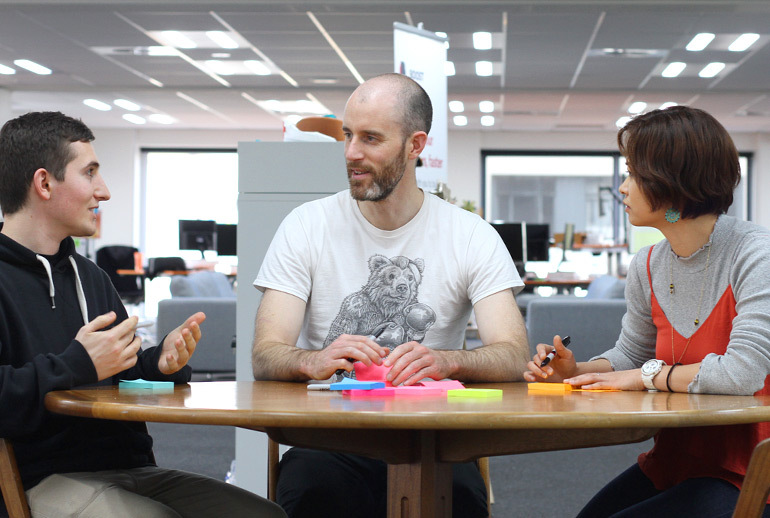 In this post, Boost CEO Nathan Donaldson explains how we defined our business purpose and shows how you can discover—and achieve—the purpose of your own organisation. What’s the purpose of defining your business purpose? 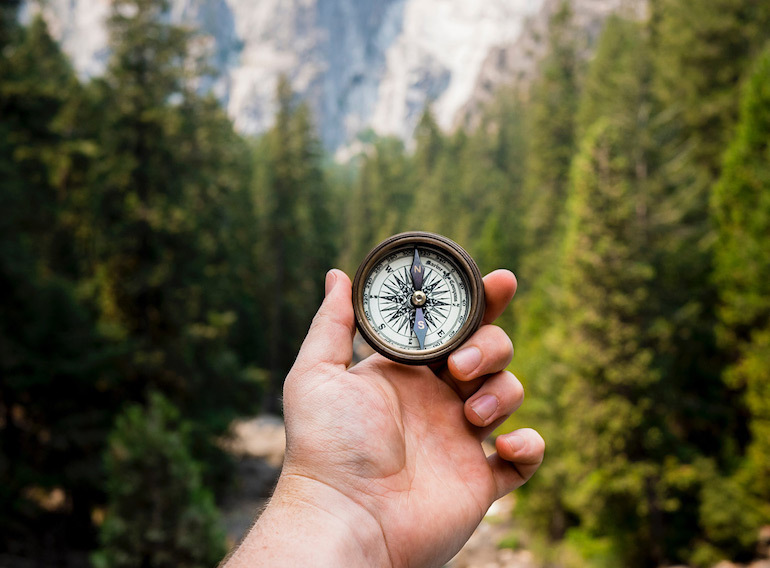 Your business purpose is a compass for your organisation. It clearly communicates the direction you want to go, makes sure your whole team—and your customers—are on the same course, and it guides you on the journey. Every organisation has a purpose or purposes but they’re often unstated, unclear or even contradictory. For Nathan, Boost’s business purpose is a communication tool. So how do you discover your organisation’s purpose? “We derived our purpose from our behaviours,” Nathan says. “We did it from the perspective of discovering who we were. “It took us about a year, so set some time aside,” he adds. “We workshopped ideas, talking about behaviours, talking about how we talked about ourselves, internally and externally, to try to discover what it was. “By listening to ourselves talking and capturing as much of that information as possible, we were able to start to see the patterns that this came from. “What we often found ourselves talking about, especially when we were talking to new or potential clients, was that we were trying to make New Zealand a better place. That’s what drove us to do the work we do. “That was just a bit too broad and generic. 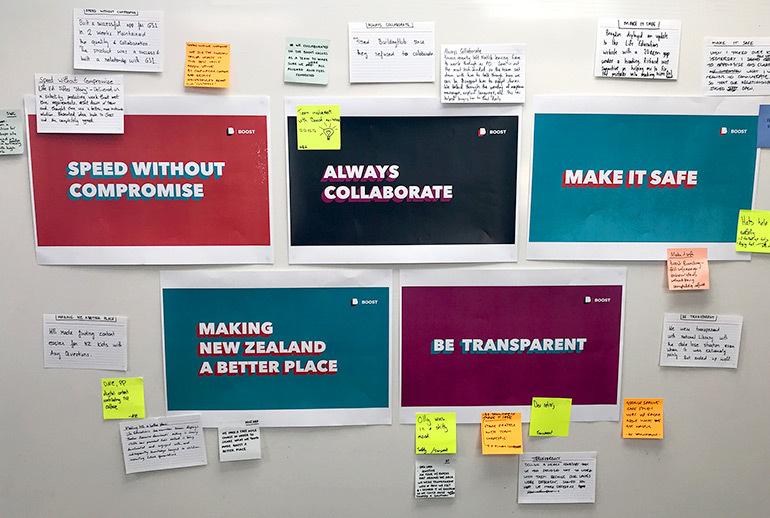 What we were thinking about when we were trying to articulate our purpose back to ourselves was, what is it that we’re trying to do in order to make New Zealand a better place? What’s the step before that? One of the reasons our purpose involves making an impact is that we can. As an Agile development shop we specialise in delivering the most value with the least risk. And in our Agile training, coaching and audits we help individuals and organisations maximise their own impact. A world where New Zealanders work, learn and play in a safe to fail environment. At Boost, we only work on projects that align with our purpose. We have a matrix for deciding what work we pitch for and the impact is one of the criteria we use to make our decisions. “We always come back to this question,” says Nathan, “‘Is it going to have a lasting positive impact?’ If it isn’t, then we politely decline and suggest some other people who might be able to help them. It doesn’t mean they’re a bad client or it’s a bad project or anything like that. It’s just that we’re not going to be the right people for it. When your team and your client share a purpose, the work becomes more productive, and more of a partnership. As Peter Drucker says, if you can’t measure it, you can’t improve it. We call our yardstick One Number. To make sure our projects have a positive and lasting impact we work with our clients to come up with one key metric that measures how well the project delivers their outcomes. Having a clear target brings people together. It clarifies the purpose of their work and the impact they’re able to have. It helps make decisions easier and prioritisation more effective. We offer our clients a big screen for their offices so they can share their One Number with their colleagues, building buy-in and demonstrating your project’s achievements. Making progress visible reminds us of the impact we are having on a daily basis. Our clients find it an effective approach. As a freedom-centred workplace, keeping the whole team involved in the direction of the company is part of our DNA. When it comes to our purpose, vision and values, we ran a specific workshop so the team could feed into the discussions. As Boost’s writer, when I interview our developers and designers for pieces about our projects it’s clear that Boost’s purpose resonates for the team. They’ll tell me how much they enjoyed seeing the difference they were making, the people they were helping, the impacts they were having. Of course, that’s partly a result the people we hire. Recruitment is another way to embed your organisation’s purpose. When we hire, we specifically look for people who want to make an impact, who are aligned with our purpose, vision and values. When you look at the impacts we’ve had it’s easy to see why they mean something to us and our clients. Take Life Education Trust for example. Their mission is to “educate and inspire generations to embrace positive choices for a healthy mind and body”, and we know we’ve had a major influence on this mission. We’ve watched Life Education’s One Number metric of resource downloads jump tenfold and feedback from the Trust has confirmed the difference we’ve made. 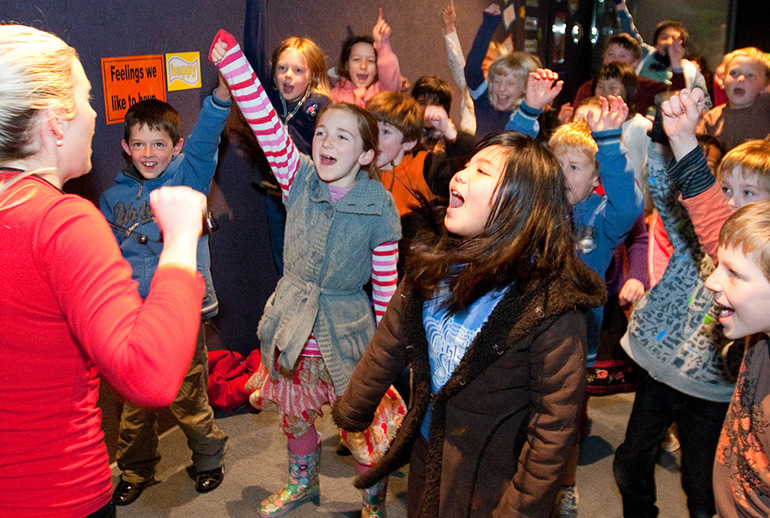 And what’s not to like about growing a stronger New Zealand by keeping kiwi kids healthy? For Nathan, Boost’s purpose is critical. “It’s what drives me to get out of bed in the morning, and to do this work,” he says. “Obviously, I’m CEO and sole shareholder, so the organisation’s purpose and my purpose have to be reasonably well-aligned. So, what’s your business purpose? What gets you out of bed in the morning?